My oh my, how time seems to fly! It seems like just minutes ago when I was here posting last weeks peeks! They do say, “Time Flies When You’re Having Fun…” so I guess I better tone the fun down a bit!!! Geesh. Can you believe that tomorrow is February 1st??? I, personally, am wondering where the heck this month went! 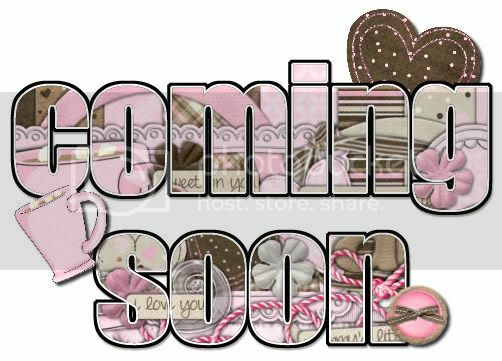 February…the month of love!! Which seems soooo totally appropriate since I LOVE what I have to show you today! I know, I know, have I ever shown you anything I haven’t loved? Nope! Never! That is because Bella Gypsy Designs are masterful artists. So here we go! First up is a kit that is so fun it’s almost criminal! Yes! It’s that fun! For those of you who can’t seem to get enough “boy” digital goods, you’re going to flip! Next up is a kit so sweet, you’ll get a “sweet tooth” just looking at it! I know I did! 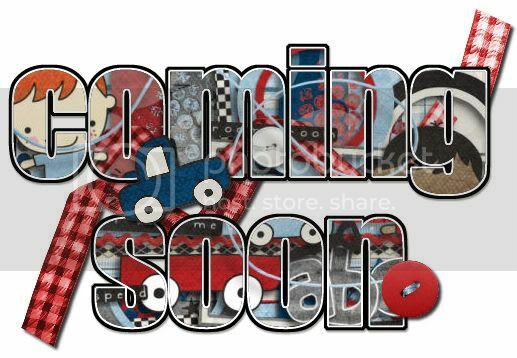 As we head into February I intend to focus a lot of my scrapping on things that I love. People, places, food, songs, books, movies…everything! I was reminded last week (by viewing some fabulous galleries) that I seem to spend so much time capturing memories of those whom I love, I forget to spend time capturing me! I am so impressed with all of the innovative scrappers out there who help me think outside of the box! Those scrappers are YOU…the Bella Gypsy Fans! You all amaze me! Happy Tuesday Scrappers!! It’s Kim here once again on a bright and happy Tuesday (ok, maybe not so bright)….but definitely happy! It’s $1.00 Pixels over at Gotta Pixel today and there are some fun and exciting new random products that are hitting the Bella Gypsy store today! It’s a bit of everyday randomness that you will find yourself using everyday!! I don’t know if you are doing the Project 365 but I am once again. 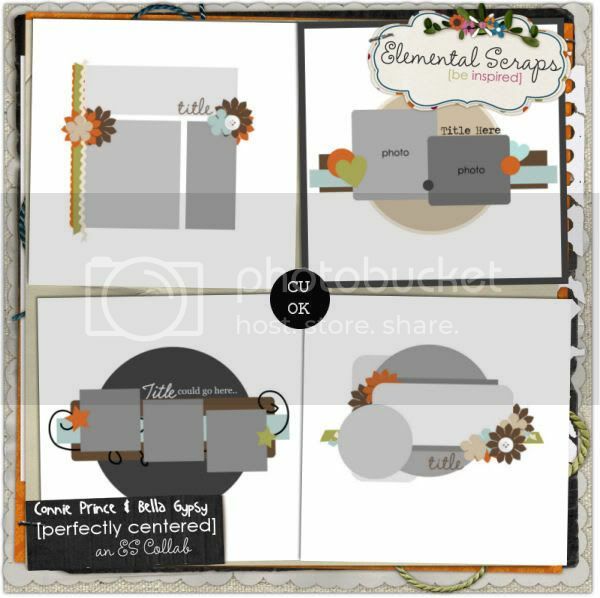 The Bella Gypsy Duo have some tab alphas, but oh so much more, that is perfect for those P365 layouts! 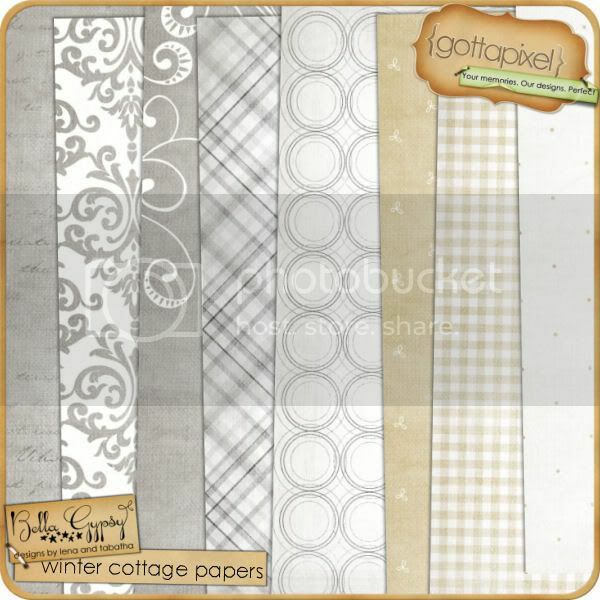 Next up are basic papers, perfect for those everday scrapped moments! All I can say is wow! Check out these Striped Alphas!! I loved the doodled, striped look! 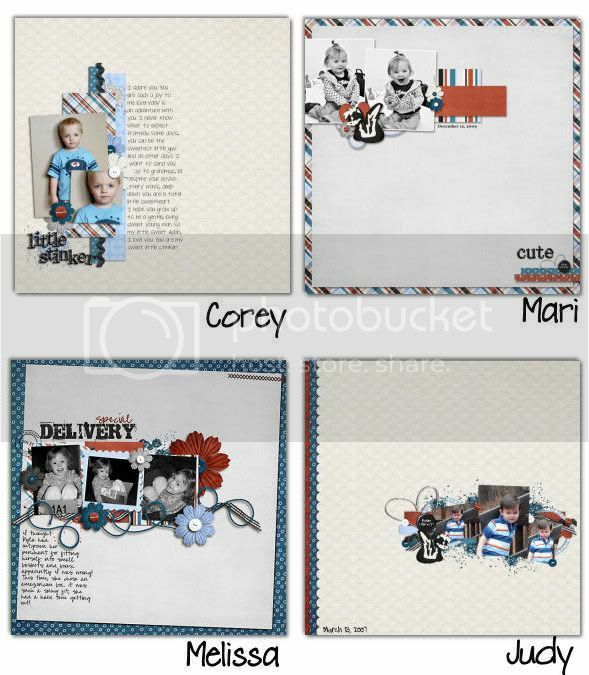 We know this week wouldn’t be complete without some yummy new Sketchology templates! Yay! I know I mentioned this but I am going to say it again. All these goodies are available at Gotta Pixel for only $1. So hurry on over to the store today! All the previews are linked to the Gotta Pixel store! 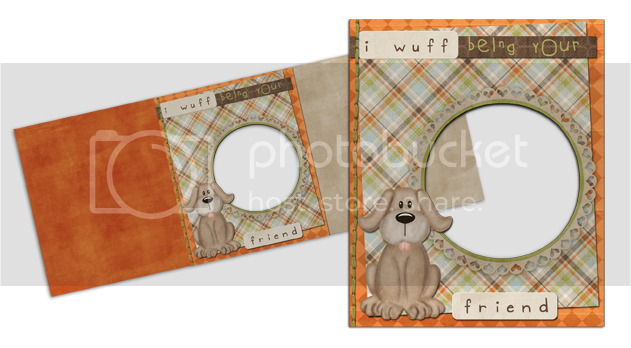 Before we get to our freebie…there are a few other releases at Gotta Pixel today too. 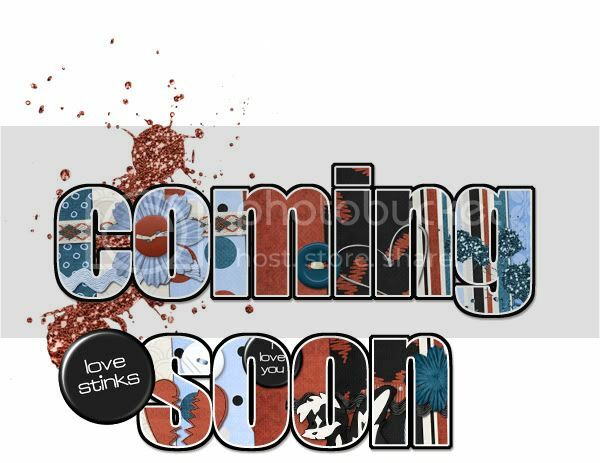 Love Stinks and I Wuff You, were also released at Gotta Pixel. Here’s a bit on inspiration from our Creative Team. Here’s a little freebie just for you today. It coordinates with Love Stinks! Just click on the image for your download link! Check back later this week because I have some Love Alpha just for you too! 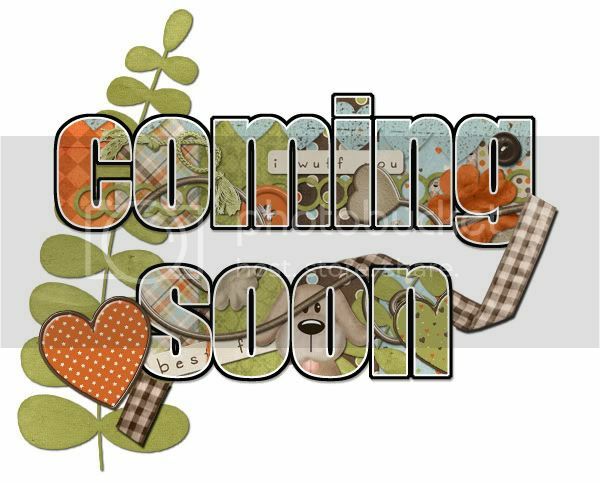 New Releases and a ‘Lovey’ freebie, too! Well hello scrappers! Lynn here, freaking out! Can you believe we are almost through January already? My big boy turns 7 on Friday, and I am still in shock! So, while I prepare for his small birthday party (just 5 mates, but a trip to the movies, then on to lunch, and then wrap-up at a soft-play area), it’s still going to be VERY busy! Will be making cupcakes (and a birthday cake, too) for the party, and his family party tomorrow, but today, let’s talk about NEW RELEASES! Bella Gypsy knows where it’s at… I had two boys before the girls were born, and was torn when doing Valentine’s Day layouts of my boys… everything is always pink and covered in sparkly hearts! Have a look at these lovlies! 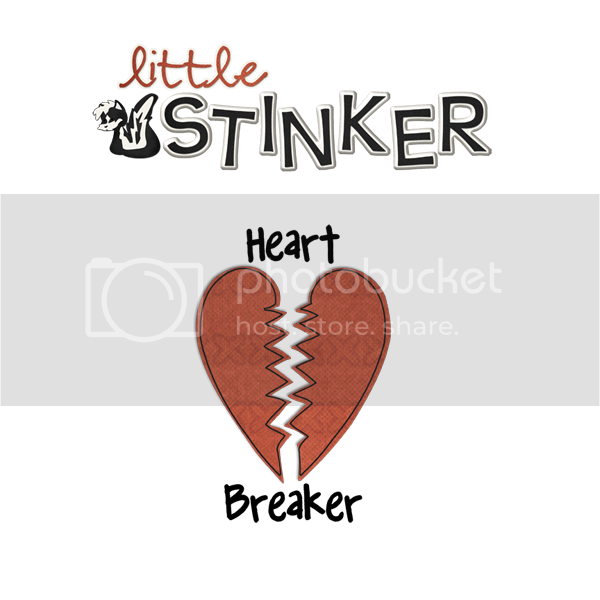 And the other gorgeous new release, well it’s just as fun, perfect for scrapping your little stinkers! And a set those of us that live life a ‘little unbalanced’, tee hee! And with that, I’d like to wrap it up with this little freebie for you.Get an early start on those Valentine cards for the kids to take to school with this little gift, all you have to do is add your child’s name & photo! Both versions included, so you can fold it up and address it, or just slip it in an envelope, up to you! Click here for your free Valentine’s Day card! Hello, hello, hello!!!!! 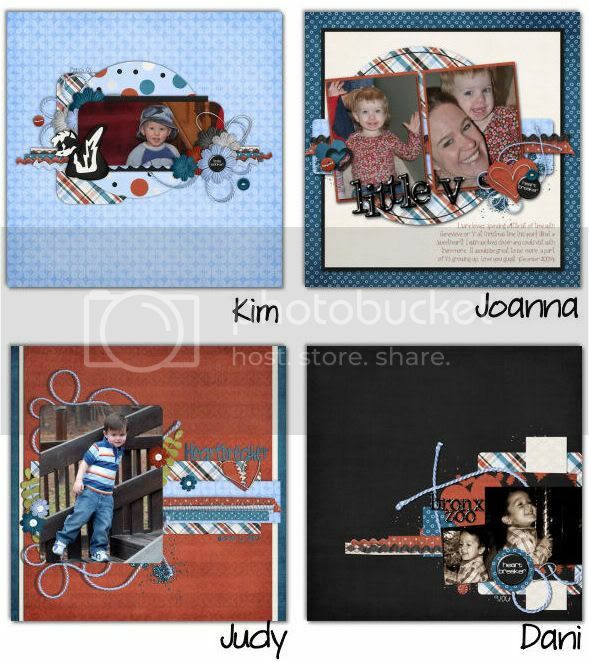 Candi here to bring you this weeks sneak peeks! They’re faaaabulous! I am going to keep this nice and short today! I’ll just leave you with these little sneak teasers that you’ll be able to grab this tomorrow! 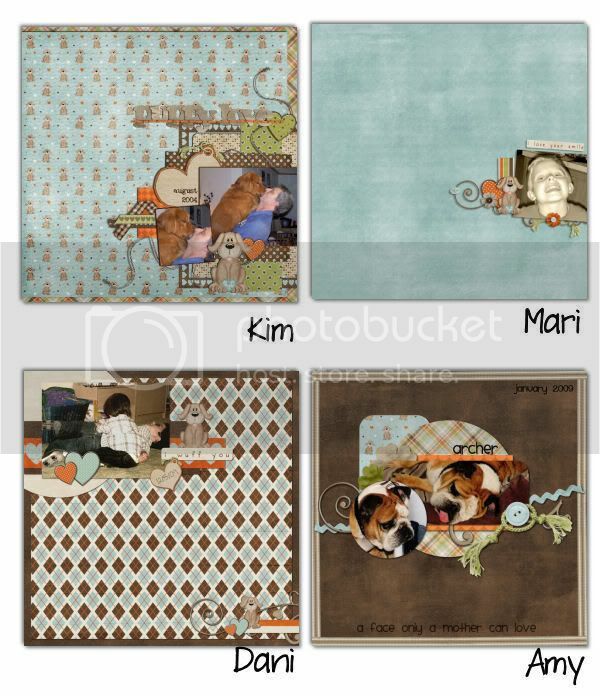 First up is a fabulous kit that will have you yelping AND drooling….okay, perhaps not….maybe that’s just me!! The Bella Gypsy girls teamed up with another SPECTACULAR designer on this one, do you know who that person might be? Aren’t the colors so soft, warm and inviting!!! Ohhh, I think so!! There you have it, two fabulous Bella Gypsy products that no fan will be able to live without! I hope all of you have a terrific week! I’ll see you next Sunday, same time, same place!! Happy Tuesday! I haven’t been feeling the best this week and have two sick kiddos (well, I guess 3 if you count my husband too) so this is going to be short and sweet today! 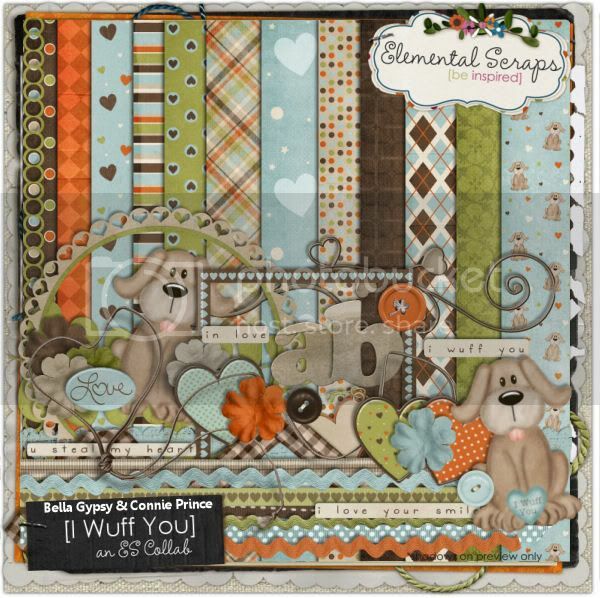 The sun is shining and the Bella Gypsy duo was at it again this week and released some awesome goodies at Gotta Pixel today so I know it’s going to be a great day! 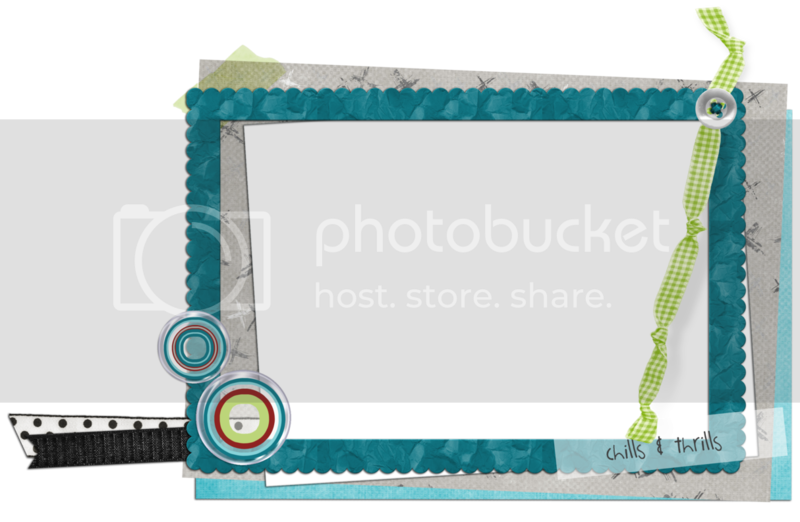 You will want to check out their store at Gotta Pixel! There are many scrumptious goodies that are only $1! 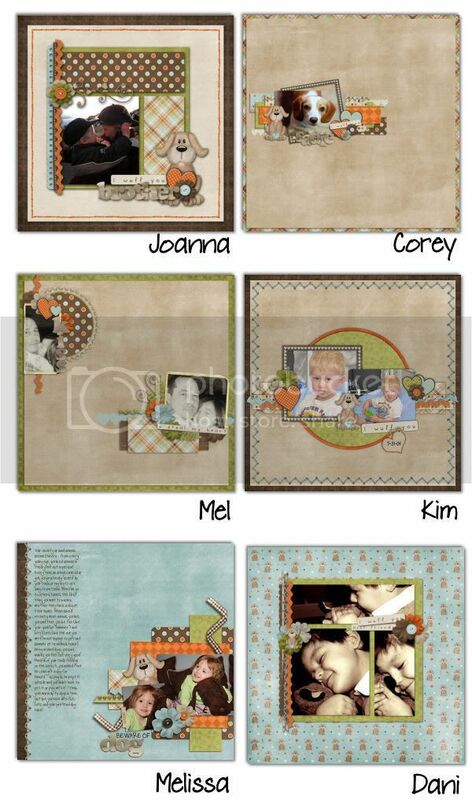 Hurry and go snag some awesome scrapping goodies today! Chills and Thrills and Polar Pals made their debut today at Gotta Pixel and are only $1. 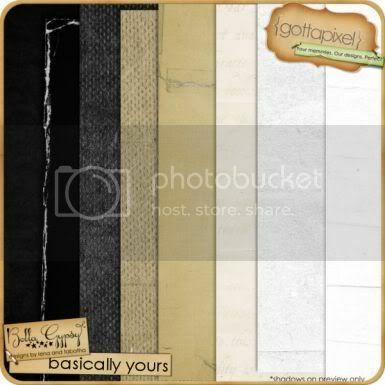 There are also a few new template packs and some CU overlays that are $1 too! I have a freebie for you this morning! I made a quick page for you using Chills and Thrills. I just love this kit! The colors are bold and can be used for boys, girls and just about any situation!! Enjoy!! It’s Monday again! Here out there, Lynn here. Phew, this weekend flew by, and worst thing is, we didn’t really get anything done! I can’t stand it when that happens. Hopefully as the says start to get a teeny bit longer, we will notice the days slipping away and get out and do something away before it does! Speaking of not letting things slip away… it’s Dollar Days at ES! 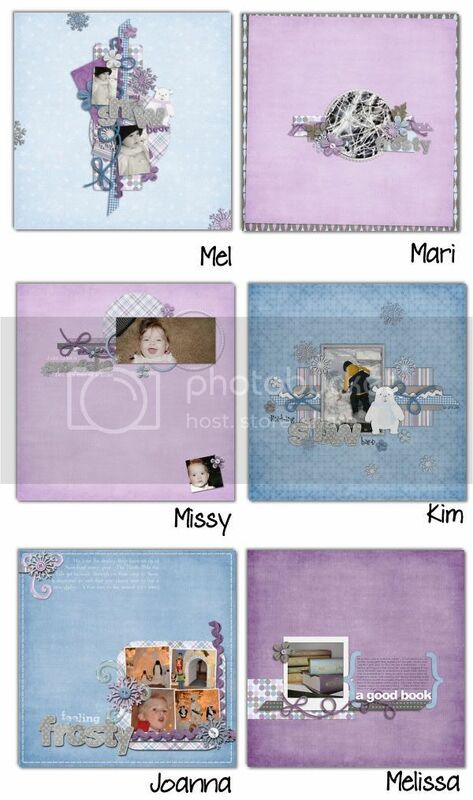 The girls at Bella Gypsy have been super busy, creating some chillingly perfect kits. Check out Chills and Thrills… It’s FULL of amazing elements that you will use again and again. this kit is bright and fun, and love the amazing elements! Pick it up now! Just have a look at the really fun layouts the CT came up with. And equally cool… another new release, Polar Pals! 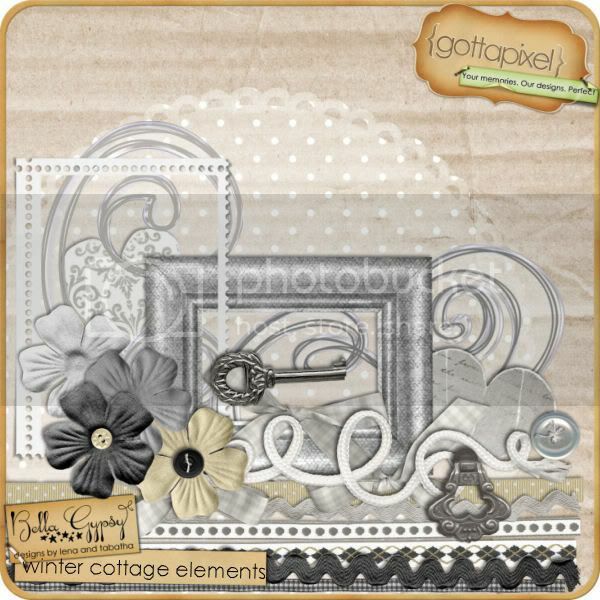 This kit is full of lovely glittery bits and plenty of sparkle to keep you interested though the year, but still chock full of all the winter bits you’ll need to scrap all those snowy scenes during this cold spell! 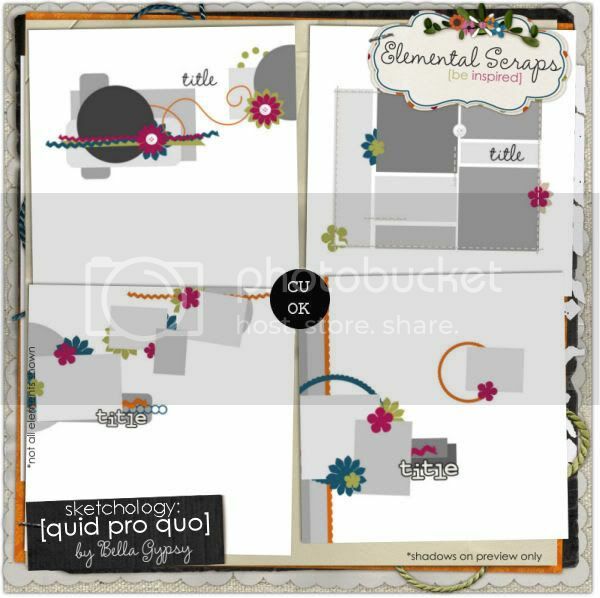 Also new in the store is a great Sketchology: Quid Pro Quo, not to mention a CU friendly Overlays 3. 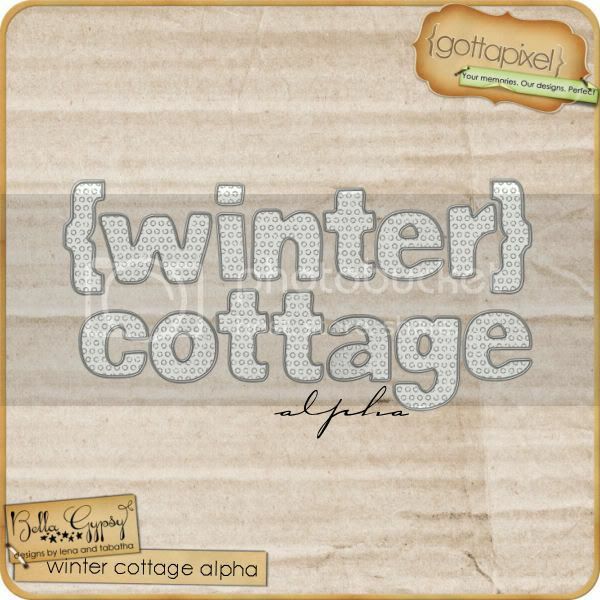 And while you may have seen it last week at Gotta Pixel, come grab it at ES if you didn’t pick it up alreadyd, it’s Winter Cottage, and it’s gorgeous! That’s all for today scrappers. Oh, before I go, enjoy this little freebie, made for you using Chills and Thrills, click image to download. Ahh, the twins had immunizations today, they are not happy, so must go, but you have a great day! Are you ready for a peek!??! Ready or not, here they come and they are awesome! First up is a fun kit that I know you will be thriled to have, sooooo much fun going on in this kit it should illegal I tell you! Happy Wednesday! 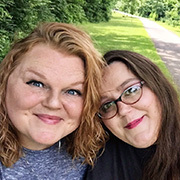 I’m Amber and I’m excited to share January’s Customer Spotlight with you today! 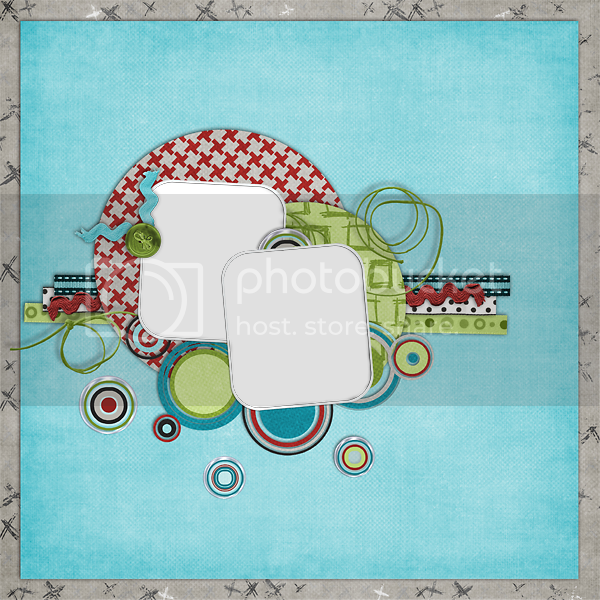 We love Peggie (Pegster)’s layout 2010! I just love the composition! Congrats on the awesome job in 2009. We know you can achieve your goals for 2010. A: I had been paper scrapping for six years, but then discovered the awesome world of digi a little over a year ago and haven’t looked back once. I love it! A: I am a nurse in a teaching hospital. I have two grown children, Megan & David and my 5 Yorkies (my furbabie grandchildren). My passions are scrapping and flea markets. Love a good find at them. Q: Is there something that inspires you to scrap? A: My twin great nieces are most of my inspiration. There mom is a scrapper but hasn’t had much time to scrap since they were born and since I don’t have little ones to scrap, it feeds my need to be able to do kids and “fun” layouts. Go take a minute to check out her gallery! Peggy, it was a pleasure to get to know you a little better! Check your inbox for a little coupon from Bella Gypsy! 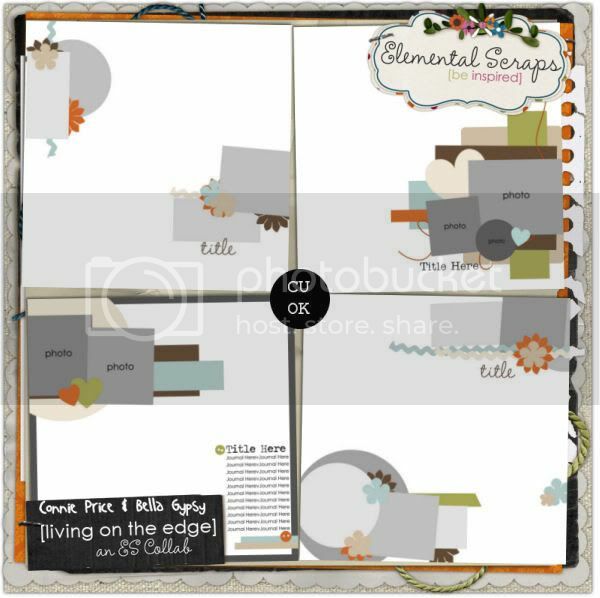 Scrappers, we love to see your fabulous layouts! Keep on posting them in your galleries. You never know when you might be picked for our next Customer Spotlight!